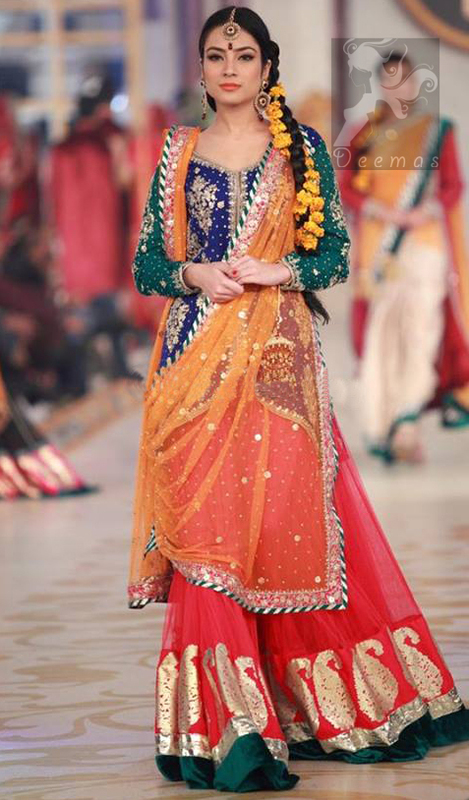 Tags: Bottle Green, Bright Red, Hammer Work, Lehenga, Mehndi Mayon Henna, Orange, Royal Blue. 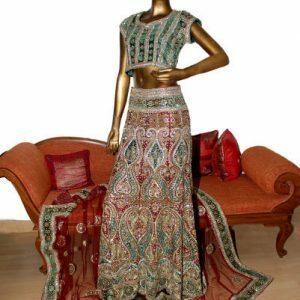 Lehenga has been adorned with block printed border at the bottom. 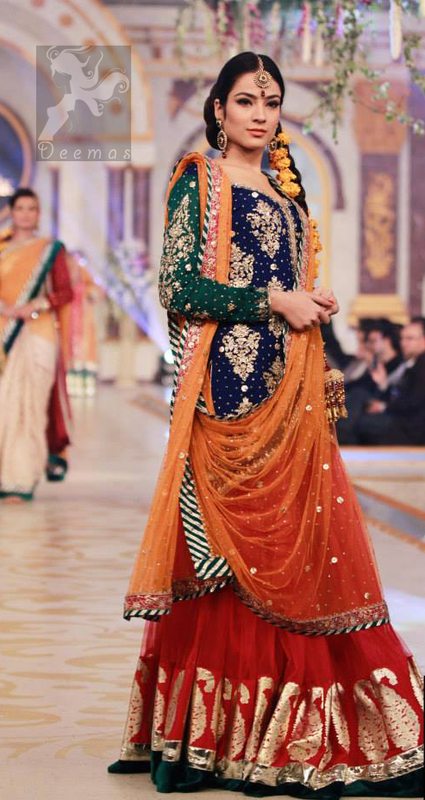 Orange dupatta having four sided embellished border. 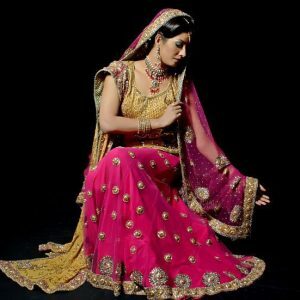 Crystal stones and motifs crafted all-over the dupatta. 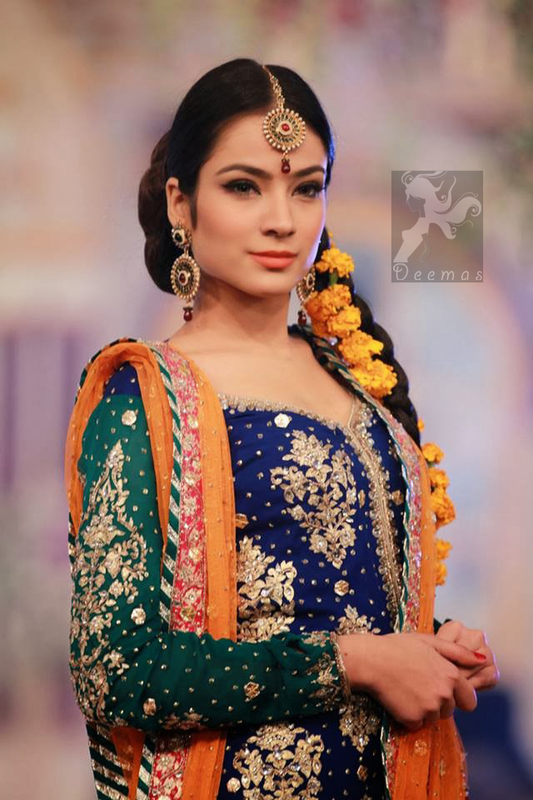 Work includes hammer work, dabka, stones, sequins, resham and stone .